Do you dream of being a yoga teacher but worry about having the knowledge and confidence to teach? 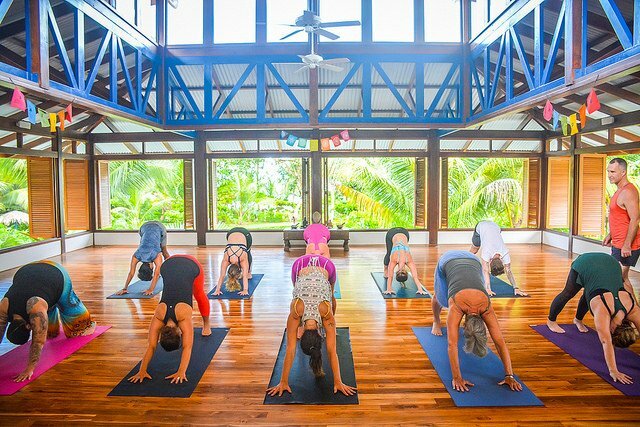 In our Yoga Teacher Trainings at Blue Osa you start teaching from day one, which gives you the confidence to get up in front of people and teach any class. Sometimes students find the thought of teaching before they have graduated intimidating, there will almost certainly be words and postures that you don’t understand which is completely normal! It seems scary to start practice teaching early in your training but that’s the point, we encourage you to make mistakes, be confused and ask for help. By doing this during your training you will not be making these mistakes after you graduate when you are teaching in the “real world”. Instead, you get all the nerves and any awkwardness out of the way while teaching in a safe and encouraging environment supported by your peers and teachers. Our yoga teacher trainings are designed to have you feeling ready to teach a public or private yoga class as soon as you graduate and go back to your home studio. You will learn proper cueing and sequencing, and begin practice teaching to the other students and later to our local community. During our yoga teacher trainings you will be taken through asana workshops where we fully unpack the different postures and cover correct alignment, how to cue the pose and appropriate adjustments. We dive deeply into all the details of how to start teaching yoga, from anatomy and asana to philosophy, preparing you for the real world of teaching yoga. Our trainings help you to deepen your practice, connect to your purpose and, ultimately, lead others toward greater health and wellness as a yoga instructor. We empower you to not only acquire the practical and philosophical teachings of yoga, but to actualize them through the direct experiences of practicing AND teaching. 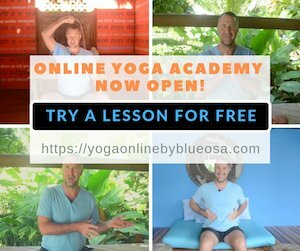 Techniques Training/Practice: Includes asanas, pranayamas, kriyas, chanting, mantra, meditation, and other traditional yoga techniques. These hours are a mix between (1) analytical training in how to teach and practice the techniques, and (2) guided practice of the techniques themselves. Anatomy & Physiology: Includes both human physical anatomy and physiology (bodily systems, organs, etc.) and energy anatomy and physiology (chakras, nadis, etc.). Includes both the study of the subject and application of its principles to yoga practice (benefits, contraindications, healthy movement patterns, etc). Practicum: Includes practice teaching, receiving feedback, observing others teaching and hearing/giving feedback. Also includes assisting students while someone else is teaching. Teaching Methodology: Includes principles of demonstration, observation, assisting/correcting, instruction, teaching styles, qualities of a teacher, the student’s process of learning, and business aspects of teaching yoga. Yoga Philosophy/ Lifestyle and Ethics for Yoga Teachers: Includes the study of yoga philosophies, yoga lifestyle, and ethics for yoga teachers. While our trainings teach practical skills like asana alignment and proper body awareness, we also go beyond that and offer spiritual guidance that results in huge personal growth and transformation. A Blue Osa Yoga Teacher Training will truly change your life and have you feeling confident and ready to teach. 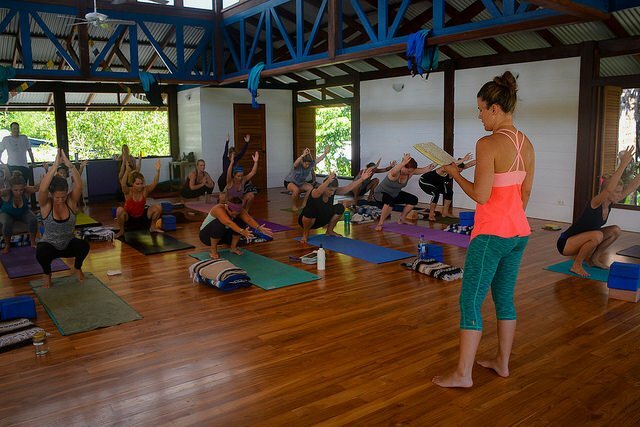 Learn More About Yoga Teacher Trainings At Blue Osa!